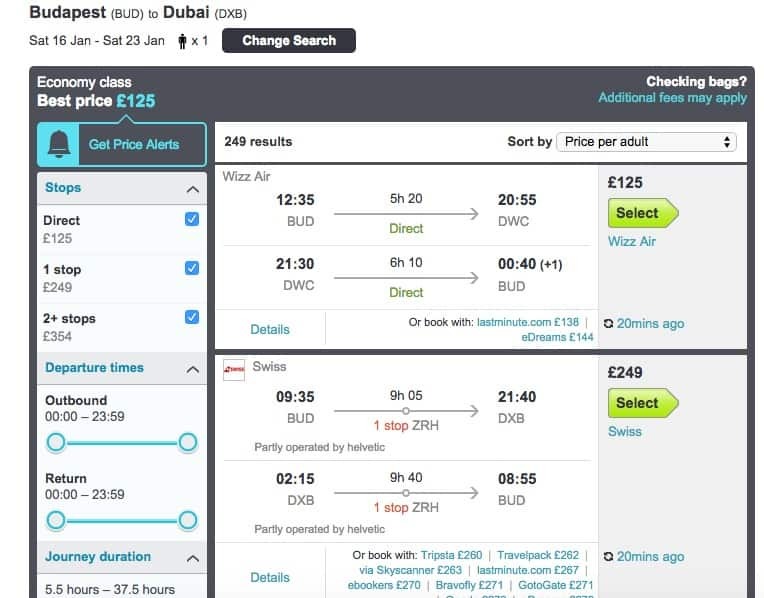 Fancy a weekend in Dubai on the cheap? I have written before about the cheap flight options you have with Wizzair to Dubai. But seriously this airline makes flying to the Middle East and beyond a lot easier. Recently they have been having some very cheap flights to Dubai that can be combined and you can create a perfect one week holiday for less than £200. I have flown with Wizzair many times and I find them to be good for what they offer; just like any other low cost carrier. I know it can be extremely hot in Dubai during the summer but they do offer even great prices during the winter. For example in January 2016 they are offering return flights from Budapest to Dubai for £125 per person. The same flight will cost you £250 with Swiss airlines. You can make an awesome trip and fly a day or two earlier from the UK to Dubai and visit the beautiful city of Budapest. I love combining flights together where i can spend a day or two exploring a new city and then continue my next adventure. 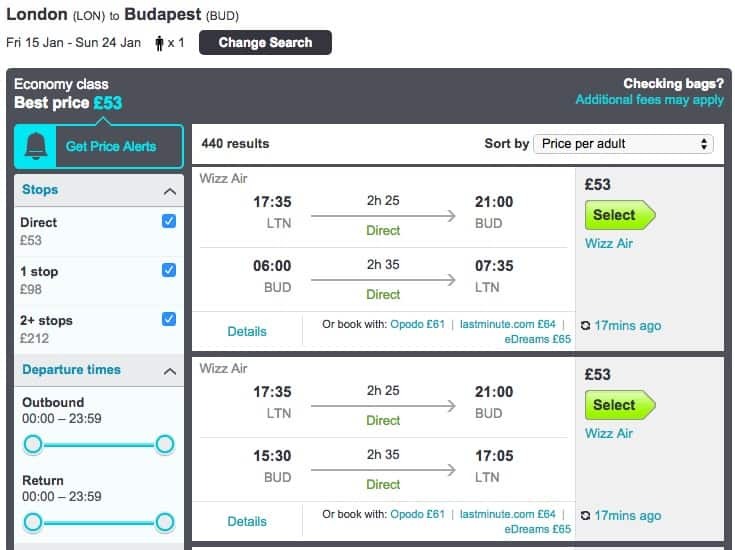 Flights from London to Budapest are approximately £55 for these days. Yes these are low cost carriers and you have to pay extra for luggage, but my best advice is to take little luggage. You can use my space saving tip and you can pack about a week’s clothes with it; all your hand luggage. If you have been to Dubai like myself many times, don’t let this stop you from exploring the rest of the country. I love Abu Dhabi and there are some beautiful beach resorts. Also from Dubai you can visit the neighbouring countries such as Oman, which is one of my favourites or even Doha. FlyDubai and many other low cost carriers can take you there for less than £50 return. On the hotel side there are so many options in Dubai that you can literally spend hours researching. Prices and choices for every pocket. I love the JBR walk hotels but they can be pricey. However Accor hotels does have the Ibis, Novotel and Mercure hotel brands which are cheap and you know what to expect from them. This is a very affordable option even if you have to pay a little extra for your baggage. The flights are short and the thing I like the most is I get to travel and explore more for less. Considering that most airlines today are cramped anyways I personally don’t mind flying low cost cramped and paying less. Of course things change in business but not everyone can afford business for the whole family. For this this is an excellent short choice. Hi Kate, I am not familiar with this to be honest, so I can’t comment with certain facts. However I would assume that if the medication is in your luggage and you have a prescription with a doctors note, it should be OK. It is very typical for UAE to ask for “official documents” from any country stamped and approved as it is bureaucratic -even if it doesn’t make sense. My wife and I are white, and have a 15 year old daughter adopted from Asia. I apologize if this sounds very ignorant, but are there any concerns in our situation in travel to the UAE? No the is no problem travelling to the UAE, doesn’t matter. UAE is pretty open and a mixed bag of cultures, religions and people, especially Dubai. It is very cosmopolitan. Thanks for this article, found it very interesting. Will it be roughly the same price to travel from Budapest to Oman, Bahrain or other areas in the Middle East?